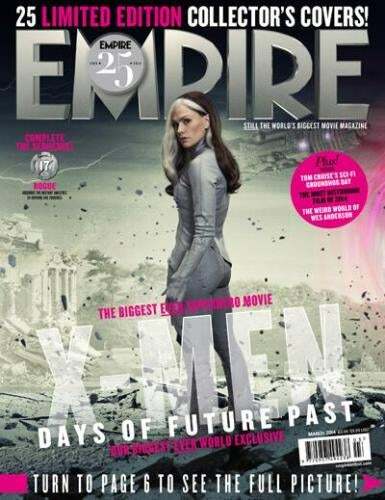 It's nice that Rogue gets her own Empire cover even if Bryan Singer cut out her only part in the upcoming X-Men movie. She was great in the first movie. Kind of a buzzkill in the second one, but totally was written off in the third one. But at least she gets special costumes in all those movies and she now has a magazine cover, right?